TUMEKE! : Crafar farms: racism or economic nationalism? Crafar farms: racism or economic nationalism? The furore over the Crafar farms leaves me sitting in a position that might be called six of one, half a dozen of the other. It is difficult to argue that the reason why this particular sale has provoked such fury is not because it taps into an element of underlying racism, and a quick scroll through the Herald comments is all that is needed to evidence this. Anything that Winston jumps all over with such fervor is generally a clue that we are in the realm of exclusive notions of economic nationalism. We are only two generations after World War II, and the argument that the Chinese abuse human rights and are quickly becoming a global power is difficult to maintain once one actually delves into the nitty gritty of foreign affairs. We are, after all, stuck in the middle of an escalating political theatre in the Pacific that has to do with the strategic location of minerals and rapidly declining fisheries stocks, not to mention the diplomatic aid in exchange for UN votes of small island nations. On the other side of this theatre sits the US, whom are equally open to allegations of human rights in their preference of war by proxy, or their geopolitical dominance that saw troops in 97 countries in a movement that is sometimes referred to as Obama's "axis of instability". This struggle for dominance at its current rate looks likely to be primarily played out through economic movements and aid, rather than any kind of warfare, despite the cattle calls and the establishment of a US base in Darwin. Posturing is central to foreign affairs, and countries frequently call their opponent's bluff. Unless the US is foolish enough to invade Iran, the current balance looks likely to be maintained with China. That Europe is attempting to look to China for a bailout signals that relations have not really thawed that much, and China has been increasingly keen in recent years to be seen as a responsible superpower within the international arena. If we want to have some degree of independence from US foreign policy in this environment, playing ball with China to a certain extent is inevitable. The ethics around the human rights argument is even trickier - there is some evidence to suggest that cutting trade ends up hurting the people at the bottom most. Beyond that there is also the obvious - there are a large amount of people in New Zealand that benefit from the inequality in wages and labour levels (not to mention those on iPads, iPhones or Macs whose products are made in factories with suicide nets where the workers are paid around 70 cents an hour, or the fact that most of our electronic devices contain Coltan mined by children in the war-torn Congo). I don't support this kind of exploitation, I am merely pointing out the hypocrisy in the Crafar farms being the flashpoint issue. In this sense, the right are correct in stating that the issues around the Crafar farms tap into notions of racism. There has been a lot of land that has been sold over the last couple of years, and Labour had sold prime South Island farmland to American songstress Shania Twain. John Key estimates 1% of our land has been sold in total, Federated Farmers say 2%. The fact that we as a people have not gotten as upset over land sales to British and America says a lot. Labour and the Greens' argument that share milkers want to save up to buy their own farms is almost farcical given the prohibitive cost of farm ownership. Let's face it, owning a farm is going to be out of the reach of most people. Considering that only around 0.2% of the population are members of Fonterra (representing 13,000 farmers), and in 2009-2010 they collected 89% of milk production, the odds of upward mobility to farm ownership are not particularly high for farm workers, with the median farm sale price sitting at $3.57 million. This is not to say that everyone opposing the sale is racist, far from it. Anyone in politics will tell you that their arguments depend on the opinion of voters, and National hitting a raw nerve has left Labour the opportunity to attack. Shearer would be stupid to pass up an opportunity like this on a platter. Land is a flashpoint issue in New Zealand, and forms much of our national identity despite around 85% of us living in towns and cities. Key is out of step with voters here, and this allows Labour, the Greens and Mana the opportunity to further entrench the position that this is a government that does not listen to the opinion of their people. The Crafar farms sale also places stress on National's relationship with the Maori Party, who they need for their majority and who see the sale as operating outside the interests of the iwi they represent. The text, which had not yet been submitted for consideration by the Senate, argued that the merger would cause serious harm to domestic, damage competition among companies in the sector and negatively affect dairy farmers. Chile's Agriculture Minister, Jose Antonio Galilea, earlier this year criticised the proposed merger and said that an "excessive concentration of certain industries" would naturally end up affecting producers. Mr Antonio Galilea noted issues related to unfair competition and transparency. Chile's National Economic Prosecutor, Felipe Irarrazabal, said the merger "in the opinion of this office" was not positive and mitigation measures were not sufficient to offset the risks involved. The president of the National Federation of Milk Producers in Chile, Dieter Konow, warned that a company such as Soprole, which controlled more than about 60% of the market, was "free to set the prices for both sales and purchases of dairy products [...] it is not good to a social market economy." Soprole and Nestlé Chile applied in late November to the Court of Free Competition in Chile (TDLC) for a ruling on the merger, which they claimed would increase milk consumption in Chile by promoting and expanding the product categories the two companies sold. In much of Latin America, Fonterra has been managing its investments through Dairy Partners America (DPA) joint venture with Nestlé, which operates 13 manufacturing sites in Brazil, Argentina, Venezuela, Colombia and Ecuador These are separate to Soprole, in Chile. Mr Ferrier said Soprole would now focus on continuing to grow its consumer business in Chile. "Soprole already has a very strong position in the Chile market and has been posting strong growth in recent years. The team is now focused on building on that strong foundation." Farming is such a huge part of our economy, and we must preserve our resources, which ultimately are our land. While I have little doubt that selling our productive land and investing in developing nations makes economic sense in the short term, it is difficult to predict how the conditions in these countries will change in the longer term. Land is becoming increasingly multinational, and it is time to have a debate around these issues. Phoebe, I agree with a lot of what you say, especially about the need for a less emotive debate about foreign ownership of land and resources. Your last paragraph really nails it. And sure, amongst the large number of Kiwis opposed to the current sale of the Crafar farms to a Chinese company, there will be many with racist/xenophobic attitudes. But you let National and their right wing supporters off too lightly and are too harsh on the left generally. And the coordinated smearing of the opponents of the sale as racist/xenophobic by National and its supporters has been done in bad faith. Most of these people have little commitment to anti-racism. Rather they are using the smear to divert attention from the very debate you say we need to have on sale of NZ land, assets and resources. How is farming not being preserved if a farm is sold to an overseas investor? If we look at the Crafer farms they were obviously not very profitable, (otherwise they wouldn't have gone bust). The Chinese company is going to invest millions to reinvigorate the farms and presumably make them more profitable. Therefore it could be argued that the sale is actually preserving farming in NZ, (at least on these farms). Good article that shows the historical (hysterical) amnesia surrounding foreign ownership. NZ began as a British colony and today "we" are a defacto state of Australia, and open US recolonisation with a Wall St banker in charge. So the anti-Chinese stuff is largely displaced anger/anxiety caused by NZs declining fortunes and extreme dependence on foreign ownership and control. The solution is to nationalise the land and other strategic assets and then work out who "we" can trade with,join,etc in a rational solution to capitalist barbarism and ecodestruction. I would put Chinese workers by virtue of their unique position in the global economy as our major allies in the survival stakes. Nicely balanced and interesting piece, Phoebe. "Unless the US is foolish enough to invade Iran, the current balance looks likely to be maintained with China." I have to say that the evidence, what with the posturing of both China and the US around trade deals (including the ludicrous TPPA), Korea and South Pacific Aid - not to mention any military activity such as China's blue water fleet build up and a renewed US military presence in Australia, would suggest that Iran is far from being the single biggest factor in Sino/US relations. Obama's "refocusing" of US DOD policy towards the Pacific in his statement 3 weeks ago would indicate that the US, at least, does not see the relationship as stable and the issues inherent in the evidence presented above would indicate that we are at the start of a new, long, and potentially unstable period for all of us. Carol, I'm not critiquing the left, I'm moreso talking about the centre, which is what this is a battle over. 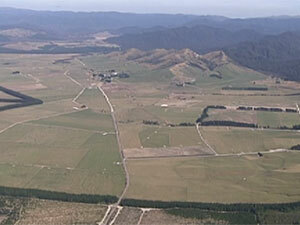 Only the Greens have put forward a bill last year restricting foreign ownership to under 5 hectares. @XChequer, cheers for that, but it is one document from one think tank and is four years old. The situation is rapidly changing with Israel ramping up the threat of bombing. You watch that situation change quickly if they do. China are not happy with the US and Israel's stance on Iran as it potentially curbs their autonomy by setting a precedent. Iran has had nuclear capability for ages, but it is the Arab Spring and the US desire to filter this outcome that will ramp up the pressure. If they are that silly to bomb, then the current global balance could change very rapidly with the potential for a return to a Cold War type environment. However, I don't think Obama is that stupid. Watch this space. Gosman - you posed your question/point on "The Standard", and it was demolished, step by step. It would be redundant to go over it again, point by point. Phoebe - I disagree that opposition to the sale of the Crafar farms is (mostly) race-based. I believe the reason that it has attracted more public opposition than any other case is because of the sheer volume of farms concerned: sixteen properties in total. I've been looking at when the first claims of "racism" and "xenophobia" appeared in the media, and it appears to have emanated from Maurice Williamson on the SAME DAY that the announcement was made to grant Shanghai Pengxin permission to proceed. By mid-evening , at least, Williamson was rabbitting on about racism/xenophobia. Farrar's blog and other National Party groupies followed suit. It occurs to me that coming up with a charge of racism/xenophobia before the public reaction was fully apparent, was premature at best. Or carefully planned from the Beehive's Ninth Floor by media advisors. I suspect the latter. Key and his cronies have obviously lost the economic argument regarding the alienation of NZ land to offshore investors. They have seemingly defaulted to Plan B: dismiss criticism by labelling critics with the odious tag of "racism". They don't take criticism very well. Labelling all New Zealanders (who oppose farmland sales to foreign investors) as "racist" is not a particularly great way to curry favour with the electorate. Voters are liable to be resentful, and Key has used up a goodly portion of his public goodwill. As for David Shearer's criticism - Labour is just as guilty as National on this issue. They need to sort out their policy on this issue, or risk losing more suppotrt to the Greens and NZ First. Frank, you are misreading what I am saying. I think the reason why it threatens National is that it taps into deeper fears of xenophobia among their voters. I said this half way through last year, so not sure about your conspiracy on its coincidence with the sale as we were already discussing it. I said it has elements of this, but that we also need to discuss the broader issues. I am not saying everyone is racist that opposes it. Give me some credit please. Read it again more carefully. If you want a more broader based history of New Zealand's problems with racism, I recommend Manying Ip's Aliens At My Table or some of the numerous theses that have been written on this topic. I don't think you are able to separate this one sale from the broader cultural history of New Zealand - this is what I am saying. It does not happen in a vacuum. I said the same thing last year and I will say it again. And I am not aligned with any party or side. My blog actually comes down in favor of thinking through land sales, you might note. Yikes! Ok, I think in all honesty I probably didn't phrase my writing as clear as I should. I've re-read what I wrote and it I can see how it comes across as criticism directed at you. What I wrote were actually intended as a more generalised commentary on recent events. The third sentence, starting with your name, requires a total re-write, which would put it into correct context. Interesting that Phoebe calls for a debate about the merits or otherwise of FDI in the farming sector and posts supporting FDI are being stopped from appearing. I wonder why that is? An excellent and informative post, however what intrigues me is the nonsensical nature of the entire general situation. If we examine the colonial powers of the 19th century, they were defined by being industrialised nations which had the capacity to dominate the land they had. Yet given the last of about three decades of policies, the nations of the West, which largely profiteered from their colonial past and prospered, have practically created their own adversaries at the present time. Over the last three decades we have seen in the Western world, the rights of the worker decline, increasing market deregulation and growing deindustrialisation, this largely occurring to the advantage of the proprietors of companies to profiteer from the low wage labour of the developing economies. Yet it’s ironic how China has prospered so much while receiving about 10% of the revenue generated by many of these companies which have outsourced their labour there. It’s also ironic how former colonial powers have assisted a nation they formerly colonised to become something akin to a colonial power and hence “colonise” some of their former territory. Now we are presented with the Pacific as a possible flashpoint between the US and China, while many US companies profiteer handsomely from their doing business with the Chinese. If these policies hadn’t been introduced in the first place, it’s unlikely today that China would be as strong as it is. This leaves us pondering the sense in it all, why would prosperous nations sacrifice a section of their prosperity to develop an adversary. Poor planning? Increasing apathy amongst the people? Or a concerted effort by the wealthy to increase their wealth and power with little foresight to extended consequences? Coming back to the subject however, I agree there should be debate over the sale of land to overseas interest. However I doubt the powers that be will take much public consideration into account. Because that's better than a Cold War type scenario and the emphasis has been on diplomacy since WW2. "This leaves us pondering the sense in it all, why would prosperous nations sacrifice a section of their prosperity to develop an adversary." They have not. The West has profitted from the opening up of China. As you say 9 dollars out of every 10 of the revenue generated by these colonies flows back to the West. It is just those who profit in the West are a tiny minority of corporate elites. What we have here are workers in the West scrapping with workers in the East for a few crumbs off the table from Western elites. Up until about a decade ago, the white working class in the West had more or less been bought off by their ruling classes. They were indeed an aristocracy of labour,living off the spoils of Western imperialism, even though again, those spoils were not evenly shared. Now that China has joined the world capitalist system, with a vast pool of easily exploitable labour, things have lost their clarity. The Western elites can exploit a vast new pool of labour, they can more or less ignore their own working class, and keep them in line by chucking them a few cheaply produced playstations and plasma tvs. From a historical perspective however, China benefitting from some trade with the West is hardly an injustice. Considering the fact that the West basically pauperised and de-industrialised both India and China for over a century. The rise of third world peoples is an inevitable historical event. The West at the moment hogs an unfair share of the world's resources. A balancing out of things could well mean the rise of the East (and it seems Africa) will result in a somewhat commensurate decline in Western material living standards. That is not an injustice against the West. That is a redressing of past injustices. The preferred scenario of course would be this happens under socialism. But it seems unlikely this will be the case. Responding to the comment left by Wayne, I agree entirely with your comment and I wish to clarify that I in no way referred to the rise of China or the developing world as an injustice upon the West, on the contrary. But what I do find perplexing is the course of action pursued by the Western corporate elite. Given that the West in its colonial era had ravaged the Orient and New World with the barbaric policies it had implemented for the past about five hundred years. You’ll tend to think those Western elites inheriting this legacy would attempt to preserve their ill-gotten gains. After all this plunder greatly assisted the formation of their industrialised world and hence the Western proletariat reaped the rewards of labour in this industrialised system. However if you consider the deindustrialisation of the West with the advent of the free market era and the capitalising of labour in the developing world, you’ll find the industrialisation of these nations, which in the long term will see them reaching parity with the West and indeed the possibility of surpassing that level of development. With those at the helm of the West (the corporate elite) no doubt eventually competing with the new corporate elite of the East (and developing world). We can observe today the rise of the military capacity of China, India, well the BRIC nations. These nations are pursuing the development of large, up to 100,000 ton nuclear aircraft carriers, stealth aircraft, weapons for space warfare etc. With the growing influence of the corporate minority worldwide we can imagine a new age of empires based on a worldwide oligarchic system. This is very much similar to the beginning of the colonial era’s demise with the First World War. The BRIC nations are indeed becoming an adversary bloc to the West, which the free market system has greatly assisted to accelerate its development. That’s why I find it perplexing that those heirs of the Western colonial era today (the corporate elite) should jeopardise their strangle hold of resources and dominance. This is not something you’ll expect of such minds. It’s my personal belief that the Western corporate elite thought they would arrogantly outwit their counterparts in the developing world with their capitalising of labour there and trifle offerings (one out of ten dollars). However this has backfired due to their short sighted vision, that these nations are well disciplined in savings unlike the traditional opulence of the West. No doubt a good dose of traditional colonial era racism is present in their floundering foresight. There was indeed much diplomacy before the Second World War and this is no doubt the case with perhaps every conflict since the beginning of human history. 21st Century diplomacy is in no way the enlightened system we might desire; look back to the “diplomacy” that preceded the invasion of Iraq, diplomacy that concerned phantom weapons of mass destruction or phantom Al Qaeda terrorist. More often than not diplomacy is the illusion of a courteous process to settle a contentious matter which is often skewed towards the demands (moral or otherwise) of an aggressor. This is evident with the situation with Iran. As Iraq experienced twelve years of pre-emptive attacks with sanctions, this first phase of the US Blitzkrieg has escalated recently towards Iran, which has experienced growing sanctions/ embargoes since 1979. Diplomacy accompanies it all and the ordinary person can forecast the likely outcome (more often than not).